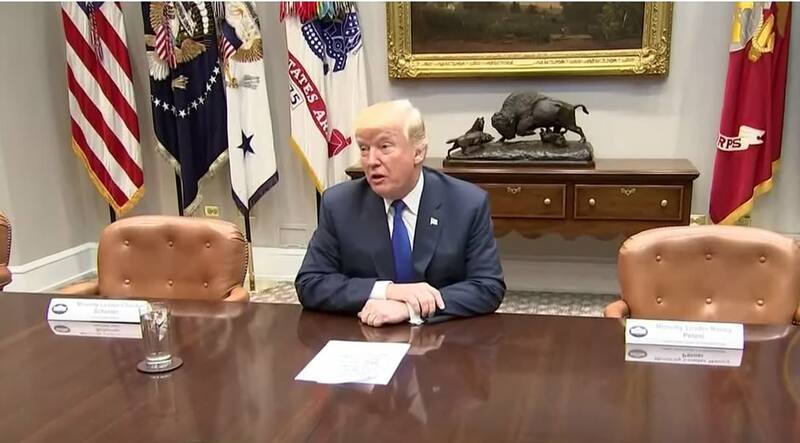 The Trump White House placed the President in between the two empty chairs of Pelosi and Schumer and even included their name placards while the President then opened the meeting noting their absence and making remarks about the very serious North Korea missile launch. The Democrat leadership was exposed yet again for being petty pouters who put their own personal feelings before the safety and security of the nation. Mr. Trump knows this. He wants others to know it as well. Also, note buffalo fighting off the wolves in the background. That was no accident, either.